Printer Connection technicians are highly qualified to handle your CompuPrint printer repair service needs. Our technicians provide printer repair services, printer cleanings and preventive maintenance. Expert CompuPrint troubleshooters. Knowledgeable CompuPrint printer service and repair professionals. We work with corporations, schools, municipalities and non-profit organizations. 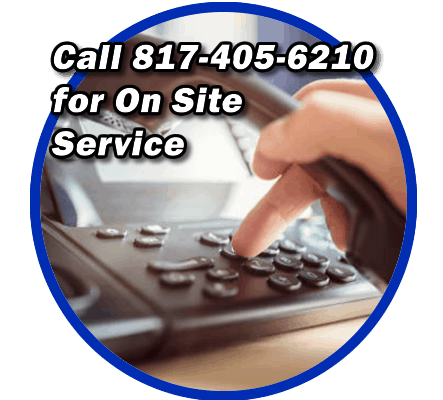 Printer Connection repairs & services CompuPrint printers all across the Dallas / Ft. Worth and North Texas Area. Call us at (817) 405-6210 for great prices on CompuPrint ribbons and supplies. Refurbished impact printers and industrial printers at great prices. If we don’t have it we will find it for you. Call and schedule your CompuPrint printer repair service or PM (Preventive Maintenance) today. Have you shut down a work station because of a printer problem? We’ll help you get back up-and-running fast. We can fix your printer at your place of business. Or send us your CompuPrint printer for repair. We’ll help you at your place, or our place. It doesn’t matter to us. We’ll help you either way. Unlike computers, printers have moving parts. And these parts wear out. It’s as simple as that. Friction. Dust and dirt. Extreme cold or extreme heat. Or just heavy use cause most printer break downs. That’s why simple, inexpensive preventive maintenance eliminates break downs, and adds months or years of use to your printers. First our technicians vacuum each printer and perform a thorough cleaning. Clean printers work better and last longer! After a good cleaning we inspect your printers for marginal components or sub par consumables, belts, ribbons etc. Replace all parts needed (within scope of maintenance agreement). Finally we test each printer extensively. We make sure your printers are printing at peak performance. We get to know your printers. We track your printers’ performance and document it over time. Your team provides valuable input on how well the printers perform from one visit to the next. Note: If you are reluctant to use a rebuilt toner cartridge then I would like to put forth an opinion derived from personal experience. You can find inferior products on the market and there are very good products also. I think the guaranty that we stand by will tell you that we believe in the product that we sell.I have been selling top quality toner cartridges with 100% satisfaction guaranty for years and have never lost a customer from dissatisfaction with a toner cartridge. As a matter of fact I only hear positive stories and I know how much they appreciate the savings. I have one customer that was buying OEM cartridges for HP 4300 and bought 10 at a time. On his first order from us he saved 1600.00 on a single order and is perfectly satisfied with the products. If you are still reluctant then I would like to recommend that you try one and save with peace of mind that it will be 100% guaranteed every time. By the way these cartridges are ultra high yield and last for a long time.